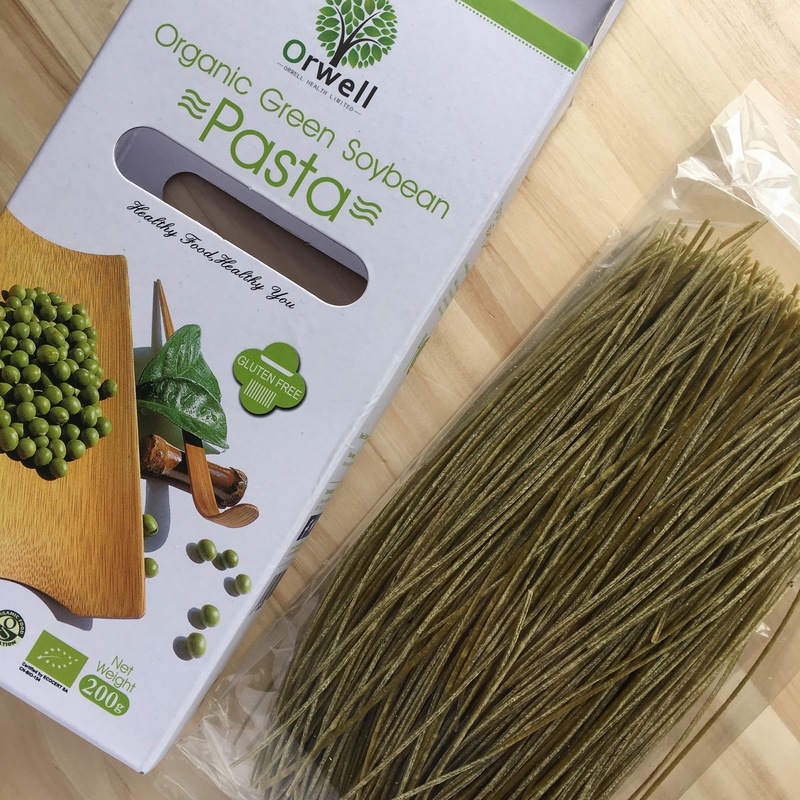 The lovely people at Orwell kindly sent me 2 boxes of their organic soybean pasta last week and I have now had the opportunity to try them both and loved them! They’re not like any other gluten free pasta I’ve tried before, they’re abit more luxurious and super quick to cook up. 3-5 mins in salted boiled water and they’re ready to serve. All of their products are gluten free, wheat free, high in fibre, high in protein and suitable for Vegans and Coeliacs! They are all made from 100% raw organic soybeans, nothing else added! Orwell’s mission is to create healthy, nutrient-packed foods that taste great, and they have done just that in the two products I’ve tried. First up is the Black Soybean Fettuccine. It looks so beautiful dried and holds it shape really well when cooked. 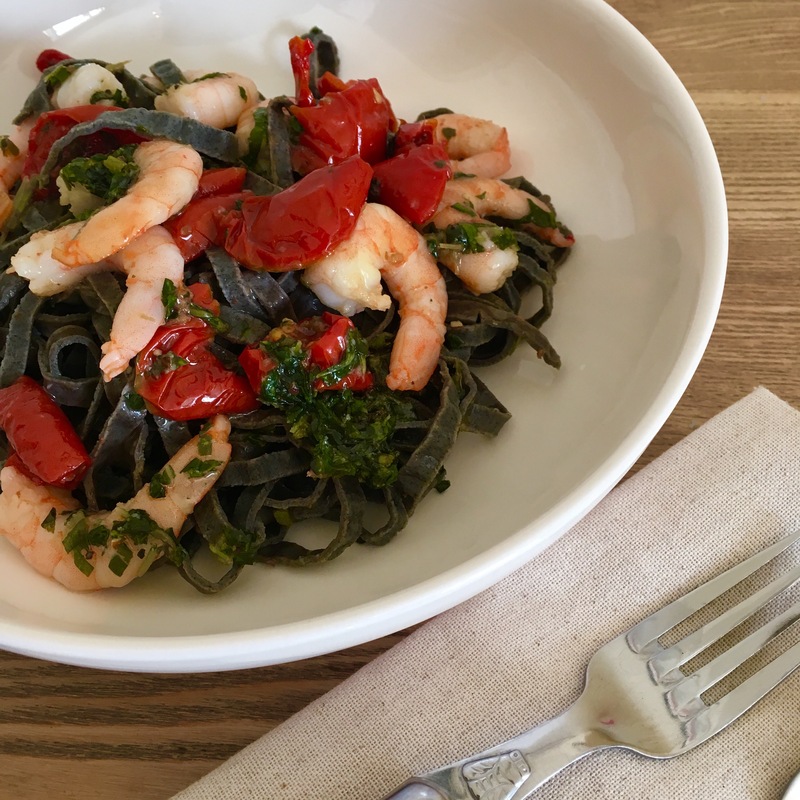 I cooked mine for 4 minutes and served it with a basil sauce, some sun blushed tomatoes and prawns – absolutely scrumptious! 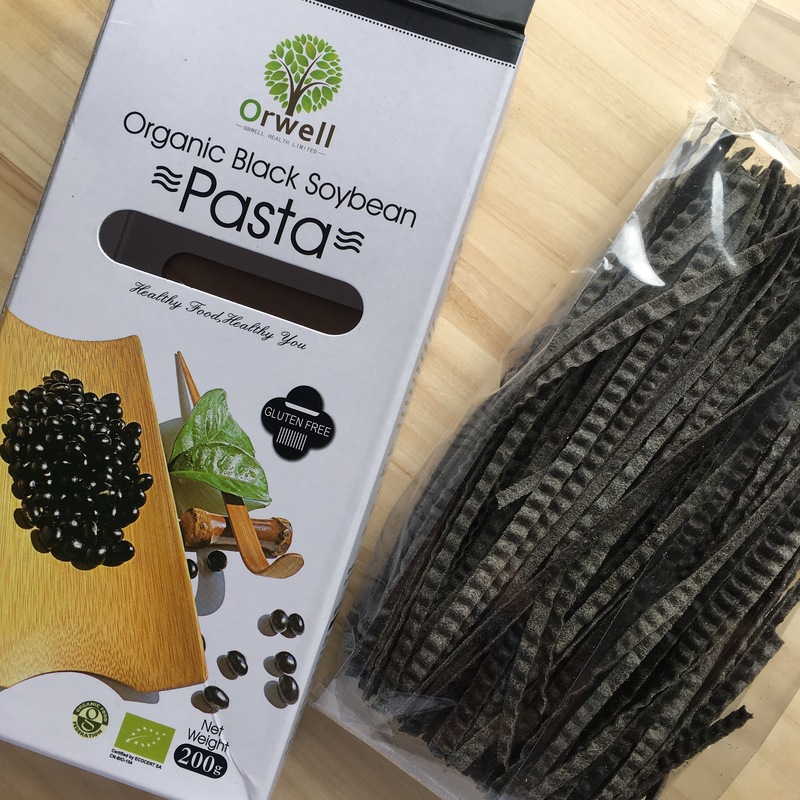 Orwell advise that black soybeans are coined as the “king of beans” as they combine both the qualities of the yellow and green bean, along with being rich in a variety of nutrients. Next up is the Green Soybean Spaghetti. After 3 minutes cooking time it was the perfect al-dente consistency for me. 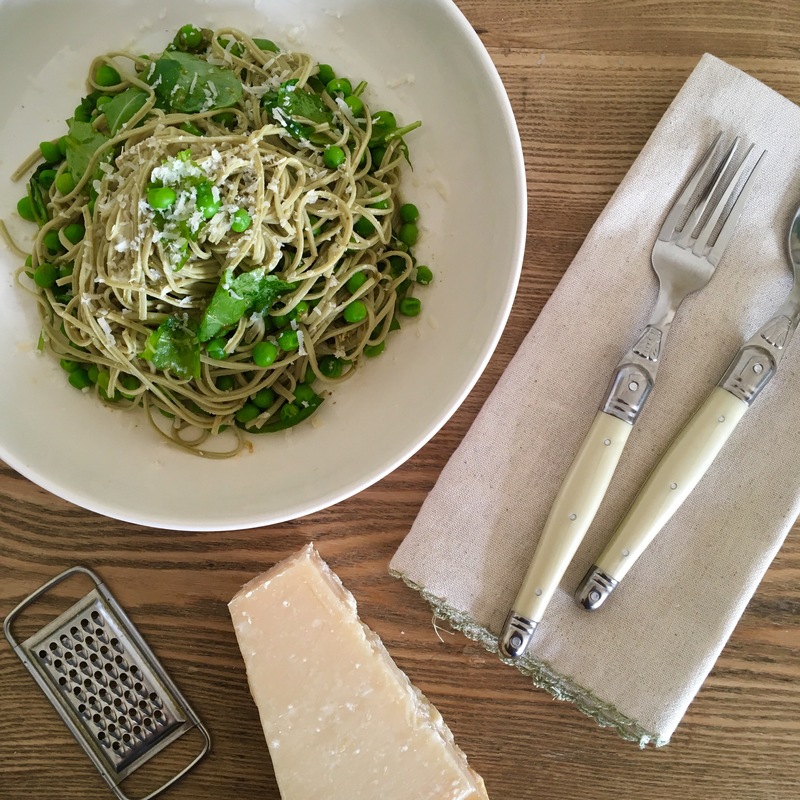 I stuck with the green theme and served this with pesto, peas and rocket with a grating of pecorino over the top – delicious!! Orwell say that green soybeans, not only aid nutrition but are also known to have a unique ability as an antioxidant.